Please welcome Joe Hart to The Qwillery. 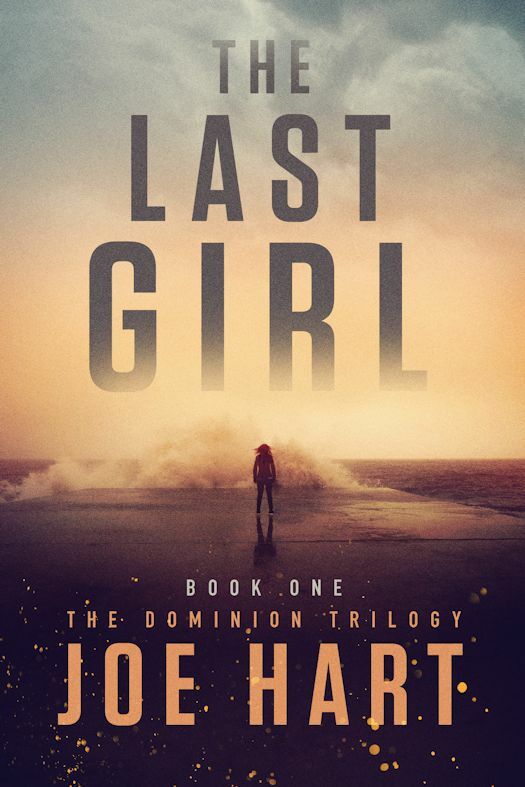 The Last Girl, the first novel in the Dominion Trilogy, was published on March 1st. Joe: Hi! Thanks so much for having me! I started writing little short stories around the age of nine. I guess I started writing because I was in love with reading and wanted to create some of the same magic I felt whenever I opened a book. Joe: Definitely a hybrid. I plot for several weeks or months before starting a project and get a solid structure down on some post it notes before I ever start writing. Then once I start I let myself wander a little off the path. It’s worked really well for me so far. Joe: So many writers have influenced me- King, Koontz, Poe, Flannery O’Connor, Blake Crouch, Emily Dickinson, Cormac McCarthy, Justin Cronin, and so on. Outside of authors my own fears typically make it into the books. Like King I’m pretty much afraid of everything so I have plenty of material to work with. TQ: Describe The Last Girl in 140 characters or less. Joe: 25 years after the female birthrate drops below 1%, Zoey is one of the last remaining women on Earth fighting for her freedom and her life. TQ: Tell us something about The Last Girl that is not found in the book description. 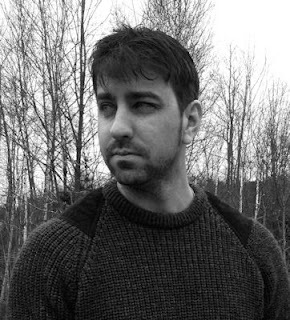 Joe: The story is set in the Pacific Northwest, which I visited prior to writing. The landscape there really lent itself to the narrative and influenced several elements in the plot. TQ: What inspired you to write The Last Girl? Joe: The inspiration came from thinking about the fragility of the human species and wondering if there were only a small amount of women left on Earth would they be treated like queens or possessions. I posed the question to multiple women in my life and they all answered “possessions” without hesitation. After that the idea wouldn’t go away. TQ: What sort of research did you do for The Last Girl? Joe: Like I mentioned above, I traveled to Washington State to research the setting. I also had to do a lot of research into genetics even though the harder science doesn’t really come into play in the first book but is touched on more in the second and third of the trilogy. Joe: My main character Zoey was the easiest to write since her struggle and conflict was so clear and integral to driving the plot forward. The hardest was Simon, Zoey’s Cleric, since his character wanted to say so much more than he was allowed to. TQ: Why have you chosen to include or not chosen to include social issues in The Last Girl? Joe: I think a world in which women are born less and less gave me a great jumping off point to touch on a few issues such as sexism and misogyny that are prevalent in our own society. In my opinion, an author always has an opportunity to shine the light on certain aspects of human interaction, sometimes beautiful and sometimes very ugly, but in either case I believe it has an impact on the reader, and it might open people’s minds. TQ: Which question about The Last Girl do you wish someone would ask? Ask it and answer it! Joe: Do you think something like the phenomenon in The Last Girl could ever be a reality? Yes, I do. We’ve already seen major changes in the world directly attributed to humans; extinction of species, climate change, new disease. I’m afraid that a major repercussion could be coming in the future and it might be catastrophic to humankind if things don’t change very soon. TQ: Give us one or two of your favorite non-spoilery quotes from The Last Girl. Joe: I’m writing the third book in the trilogy now and have an idea percolating that’s a conspiracy thriller tinged with supernatural themes. Joe: Thanks so much for the great questions! Joe Hart was born and raised in northern Minnesota. Having dedicated himself to writing horror and thriller fiction since the age of nine, he is now the author of eight novels that include The River Is Dark, Lineage, and EverFall. 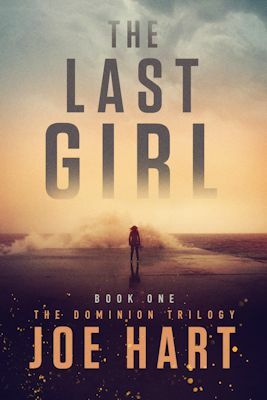 The Last Girl is the first installment in the highly anticipated Dominion Trilogy and once again showcases Hart’s knack for creating breathtaking futuristic thrillers.